The Winners have been picked and announced on my Instagram stories. Here are the names! This is author L.S. Hilton. 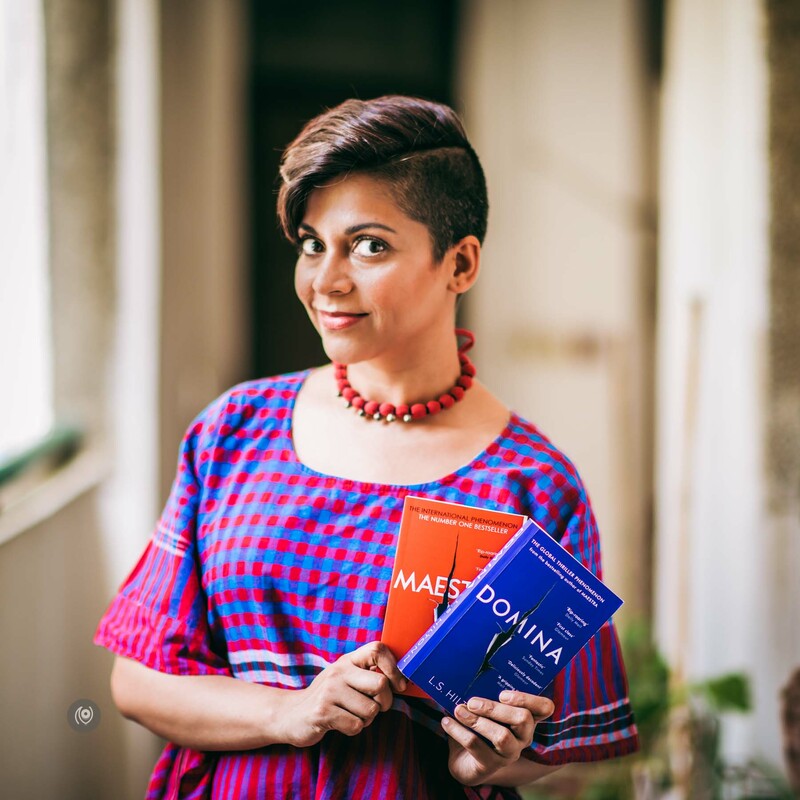 She is currently in India with Bloomsbury India, promoting her books Maestra & Domina. I had a chance to photograph her for my EyesForPeople.com series and will you look at those eyes! I’m currently nose-deep into my copy of Maestra ( it is personalized and signed by the author! ) and I’m planning to be nose-deep into the second book, Domina, soon enough. Meanwhile, the good folks at Bloomsbury India suggested the idea of a book giveaway and I heartily agreed – I love giving away books because I love reading so I assume everyone needs to be pushed to read as well – excuse my enthusiasm but books are AWESOME. I don’t believe in recommending books because what worked for me might not work for you – I believe books come to me when I am ready to receive them and I would like to believe that it’s the same for everyone else. So, Domina came for you! There will be five winners chosen at random from the comments posted here. Only open to residents of India. Once we’ve picked the winners, I will reach out to your for your address so that Bloomsbury can courier the copies to you! Yes, I wore this shirt to match with the Maestra & Domina book covers. It was pre-planned. Shirt is courtesy @145east. I was commissioned as a photographer by Bloomsbury India to make a portrait of the author for my #EyesForPeople series. I truly believe that books does come to you. I was never a reader until my sister forced upon with reading books and from then on it never stopped. I try and pick up a book which calls me when I walk around a book store. Also a subscriber of the oldest library in Bangalore gives me that high when I walk into those shelves to grab a book and a tea and quietly read in a corner of my home. Love the picture, her eyes pops out like magic. How cool! Thank you Vibha! Whoaaa you replied. 😊 Hope to grab this book too. I think of life as a good book 📚. The further you get into it, the more it begins to make sense . I fell in love with Maestra and I want to know what happens to dear old Rashers in Domina. I missed meeting L.S. Hilton because I was always at the wrong place at the wrong time. This is my chance to feel connected to ‘the author’ of it all. I won’t mind having another copy of Maestra as well, if it is touched by Ms. Hilton herself. Naina, your photograph of the lady is intense and exceptional. In fact, as I went though #EyesForPeople, I felt intoxicated with the emotions held within just a pair of eyes. Loved you work. Keep it going! Well honestly I have a copy of Domina already and I am loving it so much! I really can’t miss signed copy for sure! I have heard only good things about this novel, so I really wanna read them! Also I regularly watch Hilton’s sessions on Instagram live and she is so graceful. ​Congratulations Madhusree! You’ve won a personalized signed copy of Domina! I have emailed you to request for your address! Cheers! Reading has becoming a best hobby lately and specially the books. Nothing can beat that experience of turning page and bookmarking that very special page you loved to go back. Be it a fiction or non fiction there will always be a lesson to be learnt or new things to experience from the author point of view. Sometimes we actually end up in the alps of swiss mountain or be the very own village from malgudi days. We even smell the first drop of rain.. Reading is very much experiencing and living with the author or narrator. Cant wait and experience these books. However gets to pick.. have a great read and enjoy the journey. Hi! I just realised about your giveaway and looked through your blog and Insta page. They are beautiful!! Hi Naina. Your photographs are brilliant. I watched miss Hilton signing copies at the IGI yesterday on Bloomsbury’s live video and was cursing myself for not living in a metropolitan city. So this opportunity is godsend. Thanks for this. Fingers crossed. I am always following each & every updates on Bloomsbury Twitter page for her books because I have read the storyline of her book and since I have read it I’m just always pushing me to buy a copy. 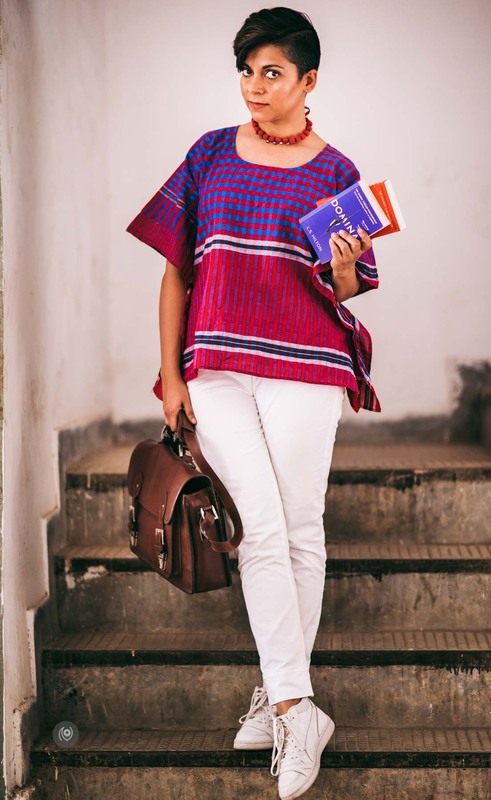 Just then I came across this giveaway and I am praying to win this to read her work. And the most exciting part is I would get her signed copy but if now I order I’ll not get this. This is a blessing to get her signed copy. Fan of yours, want to gift your signed copy to someone special. Congratulations Sheetal! 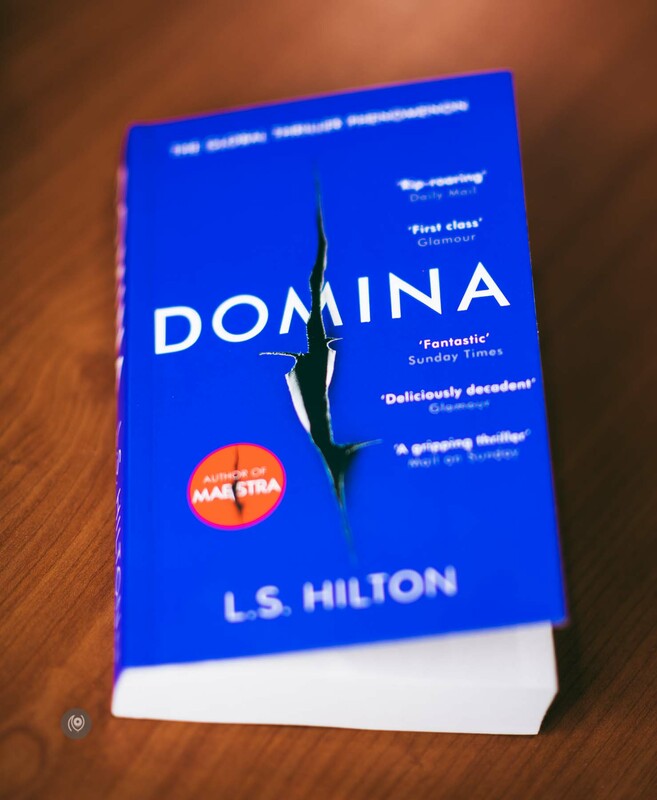 You’ve won a personalized signed copy of Domina! I will email you to ask you for your address. Cheers! I have always been interested in reading this book and receiving this book as a giveaway? Wow. And yes, your blog is beautiful. perfect blog for ones who want to see the perfect portraits. The way you click and edit the portrait is just awesome even i’m also trying to click portraits like you. Or i can say that i’m learning wit your portrait clicks. 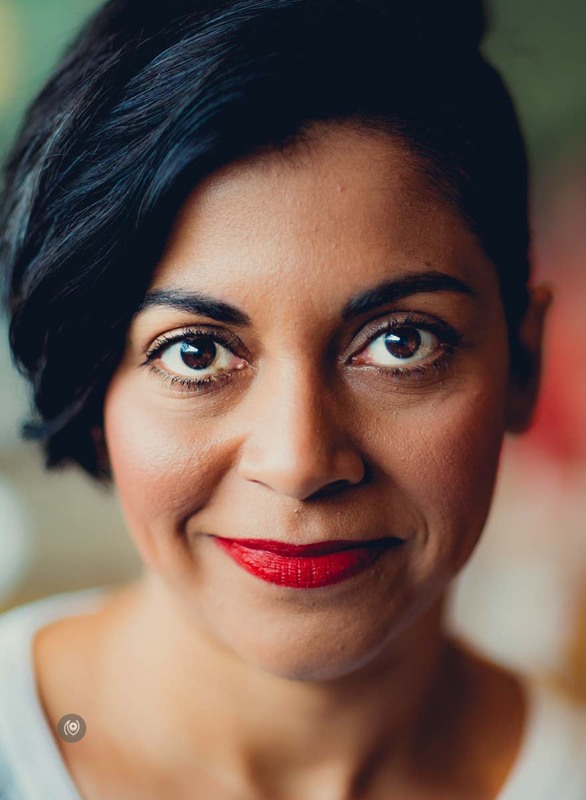 If we talk about above portrait of author. the eyes of her as well as lips are the two things which my eyes see first in this portait. Beautifully captured the emotion of the author. #DOMINA and your picture is soo cool. i mean your top and the shows and bag are soo cool perfect matching with DOMINA.